Plot: Susannah's grave marker is on the Phillips Exeter Academy woods walking trail Back of Headstone: "I am the resurrection and the lite." Came across this on my trail walk in Exeter Woods, NH 300-acre forest east of the Exeter River and bordering Drinkwater Road In the woods along one of the Phillips Exeter Academy trails is the grave of Susannah Holman (1785-1812), wife of Joseph Brown (1770-1834), resting with her is an infant daughter. The Exeter Historical Society curator Barbara Rimkunas wrote an article on this after she received a call from a local who was curious about the grave cite. 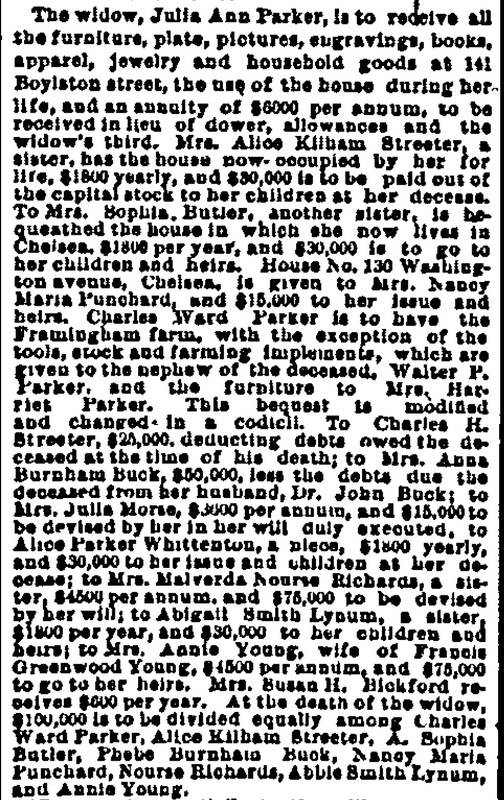 I decided to do some more research and found some interesting family history, including Brown's daughter was the wife of original proprietor of the Parker House Boston. Susannah died in labor along with her infant daughter. She had three other daughters with Joseph and after her death he married Mercy West. "Genealogy of John Brown of Hampton, New Hampshire." Marguerite Willette Brown. Hillside Pub. Co., 1977. Susannah Holman daughter of Ezekiel Holman (1759-?) of Deerfield, NH and Susannah Brown (1758-1785) married Joseph Brown, son of Abraham Brown and Judith Runnells. Records: Ezekiel Holman to Susanna Brown both of Deerfield Mar 8, 1781 and a Ezekiel Holman to Sarah Dimond both of Raymond Nov 8, 1786 From Deerfield (NH) Town Records, Volumes 1 1766-1821 Ezekiel was a private in Col Long's Regiment in New Hampshire. Sons of the American Revolution Membership Applications, 1889-1970. Louisville, Kentucky: National Society of the Sons of the American Revolution. Microfilm, 508 rolls. 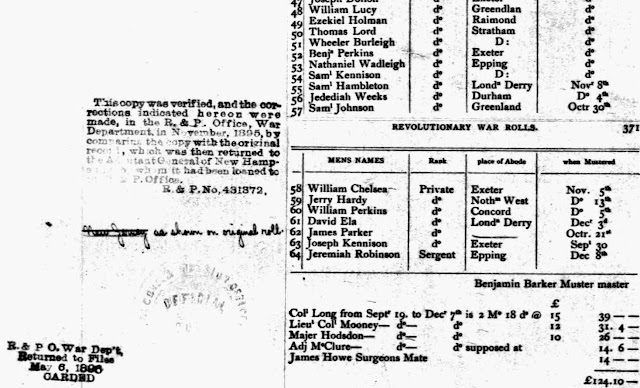 From Revolutionary War Rolls, 1775-1783; (National Archives Microfilm Publication M246, 138 rolls); War Department Collection of Revolutionary War Records, Record Group 93; National Archives, Washington. 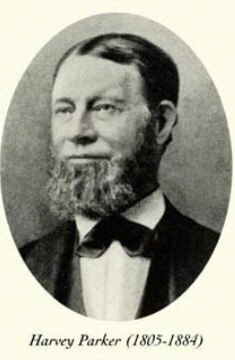 D.C.
Warren Brown in "History of Hampton Falls, New Hampshire:" A little east from Nathan Moulton's house stood an old house fifty years ago which was the home of Abraham Brown, commonly called "King Brown." He was son of Abraham Brown and Argentine Cram. Abraham was a large land owner. His wife was Judith Runnells of this town. His children, Noah Brown and Mary Brown, never married. Joseph Brown married Susan Holman; second, Mercy West. 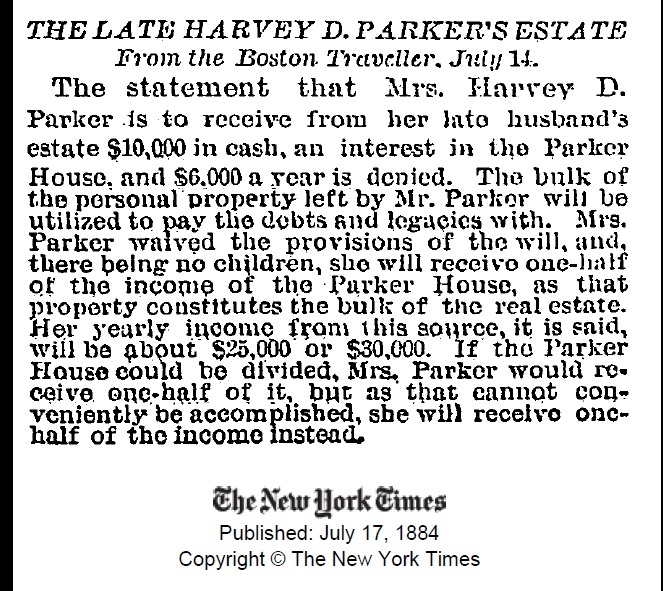 One daughter married Harvey D. Parker, founder of the Parker house in Boston. According to Porter Genealogy Pierce Porter was a tall well formed man, with blue eyes and brown hair. He spent the greater part of his life in Hooksett, N. H., where he followed the trade of a shoemaker, and kept a country store. He was an excellent gardener, very fond of flowers, and had a wide knowledge of the wild plants in the vicinity of his home. From his boyhood he was interested in the temperance cause, and retained his interest to the end of his long life. He was a regular attendant at the Congregational church, and when past eighty, received a prize for perfect attendance at the Sunday School, in this respect, outdoing all the younger members. He was ingenious in the use of wood working tools, and invented several labor saving machines. He read much, his taste including history, travels, poetry, novels and newspapers. Susannah Holman Brown (1806-1902) married William Sloan Bickford (1804-1860) son of Nathaniel Bickford (son of Dennis Bickford and Lydia Akers) and Mary L. Knight. 2. Harriet M. Bickford, b. 12 Dec 1832; d. 6 Nov 1838, age 6, probably Exeter, NH. 3. George W. Bickford, b. 20 Feb 1835; d. 27 Sep 1853, age 18. The most recent entry was that of Franklin Lawson Tuxbury, b. 15 Oct 1900 in Jamaica Plain, Massachusetts. He was Helen's grandson. From "Daughters of the American Revolution Lineage Book Volume 17:" Miss Mary Sophia Butler 16930 Lineage Hananiah Parker son of James Parker and Anna Swain, daughter of Lt./Dr. Benjamin Swain and Margaret Pierpont. He was lieutenant at the Lexington Alarm under Capt. Seth Morse. He also served in Capt. Nathaniel Wright's company. Col. Luke Drury's regiment of Mass. militia, 1781-83. He was born in Shrewsbury, Mass.. and died in Wilton, N. H.
The National Society of the Daughters of the American Revolution Volume 19 Miss Amy Whittington Eggleston. DAR ID Number: 18260 Born in Melrose, Massachusetts. Wife of George Mahon Eggleston. Descendant of Lieut. 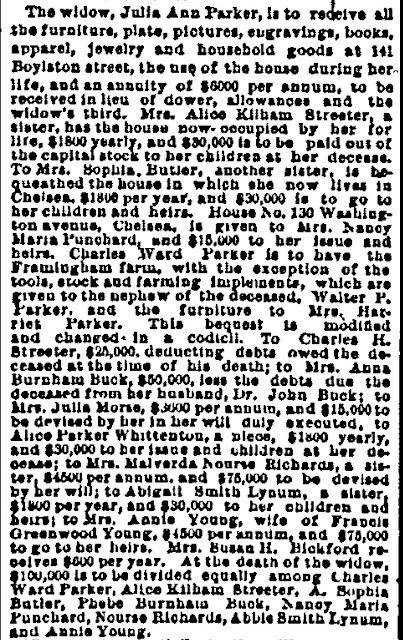 Hananiah Parker, of Massachusetts. Daughter of Hiram Whittington and Alice Parker Streeter, his wife. Granddaughter of Nathan Hunt Streeter and Alice Kilham Parker, his wife. Gr.-granddaughter of Pierpont Parker and Annie Drury, his first wife. Gr.-gr.-granddaughter of Hananiah Parker and A Warren, his wife. Hananiah Parker, (1753-93), served as lieutenant at the Lexington Alarm from Worcester county, Mass., in Capt. Seth Morse's company. He was born in Shrewsbury, Mass., and died in Wilton, N. H.
"J.D. Perry 1874" on base Museum of Fine Arts Gift of Mrs. Hiram Whittington, Brookline, Mass., in 1902. From Walks and Talks of Historic Boston Mr. Harvey D. Parker was born in Temple, Maine, May 10, 1805. He came of good old English stock, being descended from Thomas Parker, who came to America in 1636. This pioneer Parker was one of the incorporators of the town of Reading, when it was cut off from Lynn. 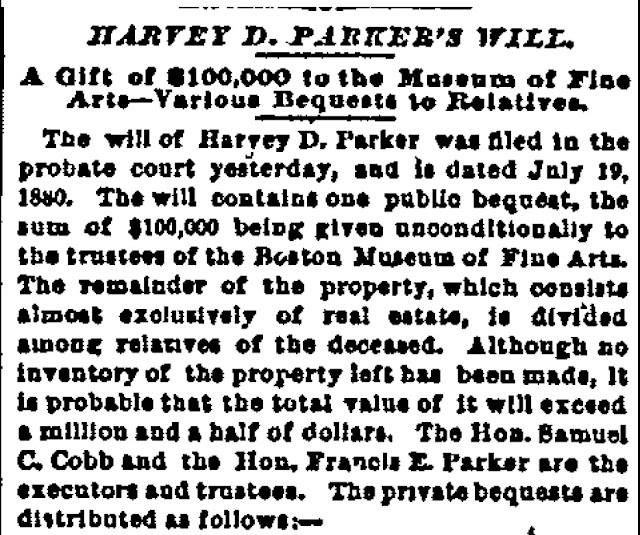 When Harvey D. Parker was quite a lad, the family moved from Temple to Paris, Maine, and here he "mowed and hoed and held the plough" until he was 20 years of age. Then, with a stout heart and $4.00 in his pocket, he started on foot for Boston to carve out his fortune. He soon found employment, and for eight years he led a busy life in the great city, living prudently, carefully guarding his surplus earnings, that he might carry out the cherished desire of his heart, that of "providing people with necessary facilities for eating well." At twentyeight years of age he commenced his famous career as a restaurateur in a basement, No. 4 Court Square, corner of Court Street. A portion of Young's Hotel now covers the spot. It was a small room, rather low and dark, and by no means attractive, but the quality of the food was most excellent and the prices very reasonable. This he named "Parker's Restaurant." He seemed to understand just what kind of food the people wanted and just how they liked to have it cooked. Arrayed in white apron, he personally served his customers, and he aimed to make the service in his restaurant, and later in the hotel, as near perfect as possible. His fame spread throughout the city and even far beyond the city limits. 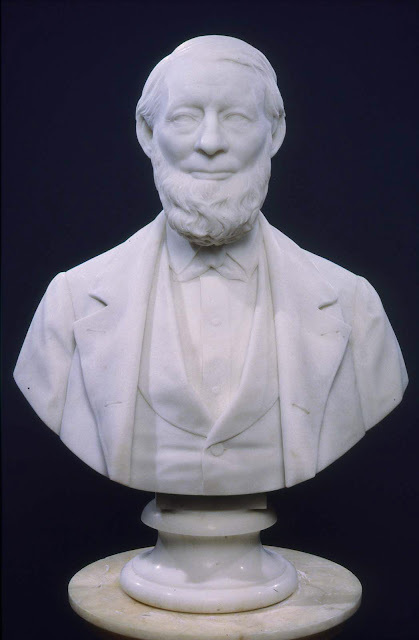 His patronage grew constantly and "Parker's Restaurant" became the best patronized and most popular dining room in Boston. 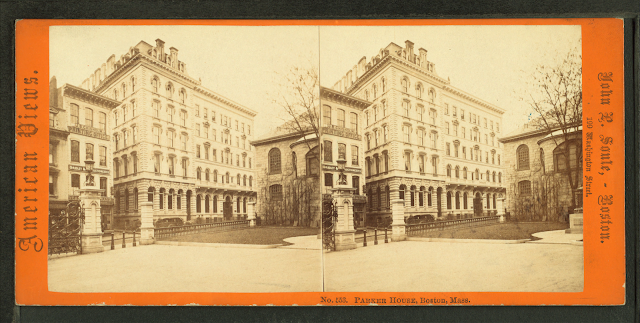 Photo from Digital Commonwealth of Boston Robert N. Dennis collection of stereoscopic views. The King's Dictionary of Boston Edwin Monroe Bacon (1883) The Parker House: School Street, extending to Tremont Street. This has for years been a favorite down-town hotel, especially with business men. It is the leading place down town where people congregate for news and gossip. In times of exciting or unusual news, particularly on election-nights, its corridors are crowded with business-men and others. It was established 30 years ago, in 1855, by Harvey D. Parker, whose name it bears, the first American hotel to be conducted on the European plan; and, under his skillful direction and management, it has grown to its present proportions and prominence. Mr. Parker, now an elderly gentleman in years, but with the energy, spirit, and enterprise of an active man of middle age, is still the chief proprietor. He began his career in 1832, in a small but choice restaurant of that day, known as “Hunt’s,” in the basement of the Tudor Building on Court Square, which formerly occupied the site of the new extension of Young’s Hotel. Three months after he entered the place as an employee, he had bought out his master for $432. Here he built up a successful business, and his place became famous. 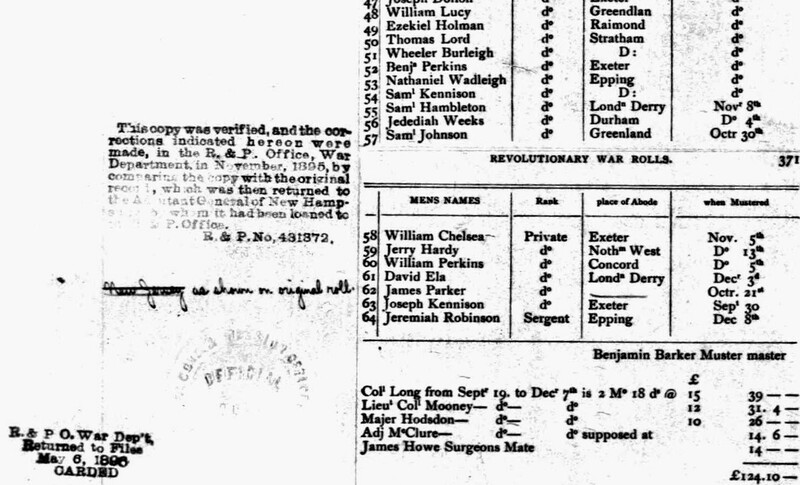 In 1845 John F. Mills entered his service at $25 a month. 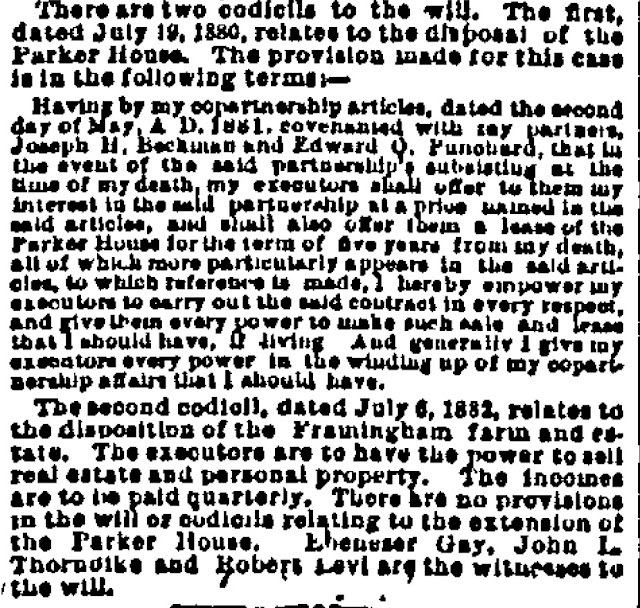 Three years after, he was admitted to a share in the business;and Parker & Mills remained the firm name for a long time, broken only by the death of Mr. Mills a few years ago. After Mr. Mills’s death, Mr. Parker continued alone for a while. At present associated with him are Joseph H. Beckman and Edward O. Punchard, both experienced hotel men, familiar with the house and the Boston hotel-business; and the title of the firm is Harvey D. Parker & Co. The building of the Parker House was begun in April, 1854, and the house was opened to the public in October the year following. It is a large six-story marble-front building, with a main entrance and a ladies' entrance on School Street. 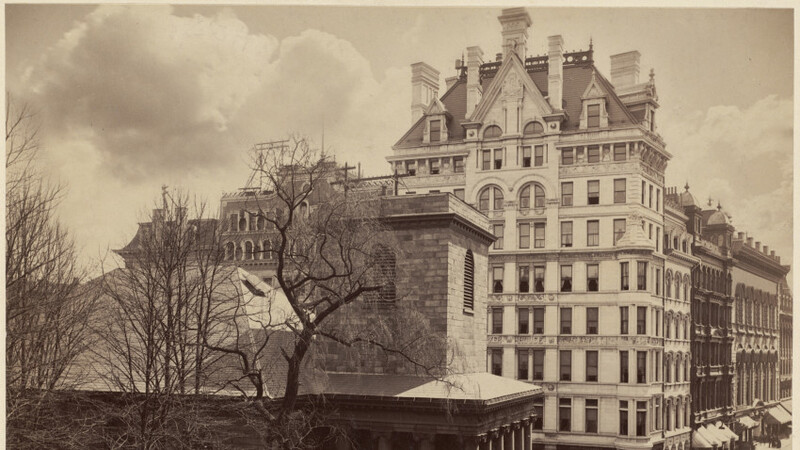 'There is also a private entrance on the Tremont Street side, which projects behind the corner estate (which Mr. Parker has vainly endeavored to purchase in order to extend his house over the lot occupied by it). On either side of the main entrance are public rooms; the news-stand, telephone, and theater ticket office being located in that on the right, and the telegraph-office in that at the left. The large dining room for gentlemen is at the end of the entrance-hall; at the right of the entrance-hall, as one enters, through a passage-way, is a cafe' fronting on Tremont Street; and at the left, through another passage-way, is the ladies’ dining-room, a spacious and attractively furnished apartment, with an outlook on School Street. This is also reached directly from the ladies’ entrance to the hotel. There is still another cafe, with a well-stocked lunch-counter, in the basement, with an oyster—counter and bar; and a large billiard room, the entrance to which is through this down-stairs café. On the second floor is also a large private dining-room for banquets, and numerous smaller dining-rooms. Parker’s is renowned for the excellence of its cuisine, and it is a favorite dining-place for clubs. Here the Bird, Boston, Literature, Agricultural, and other dining clubs ave their regular Saturday. Also associated with operation Joseph Reed Whipple. Stone Marks Lonely Grave in PEA Woods Barbara Rimkunas Curator of the Exeter Historical Society. Bond of Judith Runnells with Theophilus Smith of Exeter and Abraham Brown, Jr., of Hampton Falls, yeomen, as sureties, in the sum of £1000, Oct. 29, 1760, for the execution of the will ; witnesses, William Parker. 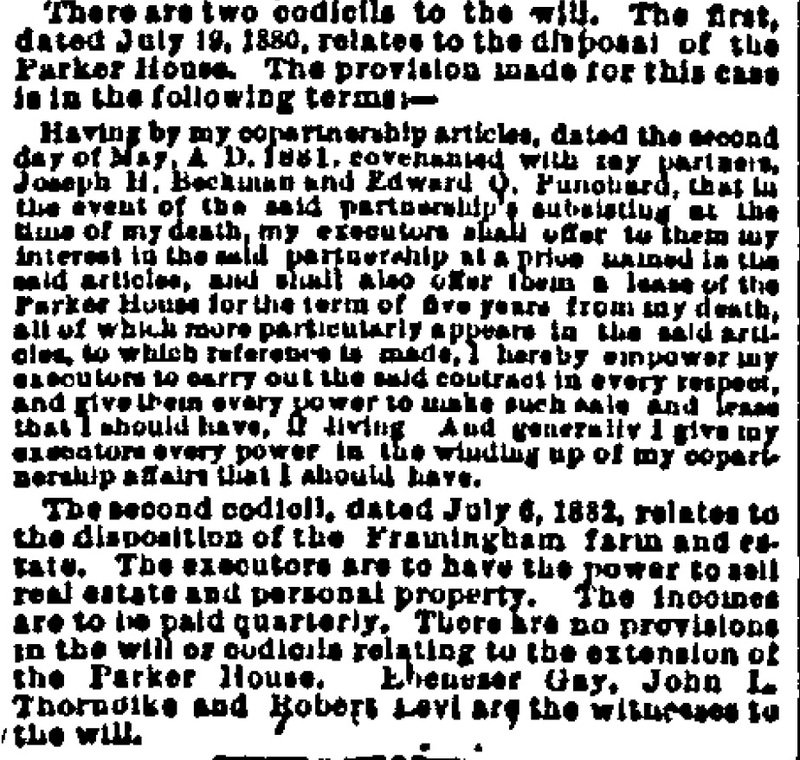 Provincial and State Papers, Volume 35 1936 NH Colony Probate Court.